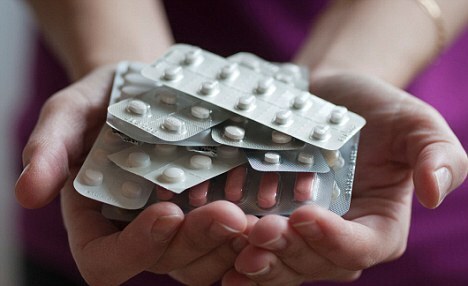 The pharmaceutical industry’s fundamental business model has become increasingly less attractive in the last two decades, and a number of firms and industry experts have advocated large-scale change (e.g., E&Y’s Pharma 3.0 strategy, McKinsey’s pharma manufacturing revolution) in how pharmaceutical companies do business. In particular, GlaxoSmithKline (GSK) has staked much of its future success on pairing its longstanding strengths in traditional pharmaceutical product development with a top-down mandate to grow the size of its customer base in the 50 poorest countries in the world. Currently, these markets have less than 5% market penetration by Western pharmaceutical companies, and GSK views these underserved populations as missed opportunities for sales and revenue growth. Last summer, three of us from Saïd Business School’s MBA Program, the London-based the International Centre for Social Franchising, and GSK collaborated to identify innovative, replicable models that would improve GSK’s ability to access and serve populations in developing countries. This work was based on an underlying assumption that a host of creative delivery models existed but were difficult to identify and evaluate. Once found and verified, GSK could partner and contribute as an investor, operational and technical expert, and multinational influencer as a means of scaling up and replicating these initiatives across multiple national markets. The study team used a mixture of high-throughput quantitative methods and visit-based qualitative interviews. The former helped the team to screen a 1200-item aggregated universe of programs and identify common program type and geographic foci of innovation. The team then traveled to these geographic hotbeds, visiting over 50 delivery models and technical experts spread across Kenya and India. The major findings of this study included both overarching themes that were applicable to nearly every program visited (e.g., poorer customers are highly price-sensitive but will pay a premium if they value a product highly relative to other needs) as well as model-specific themes that relate to specific success factors for a given model type (e.g., social marketing programs usually required a local NGO partner with an established source of trust in the community). Some of the original assumptions of the study team were challenged by the findings. For example, the number of financially-sustainable, scalable projects that were worthy of multinational investment or partnership – and did not already have it – was exceedingly small. Recommendations were developed with a variety of near-term actionable items (e.g., what to invest in, how to invest) for GSK as well long-term strategic considerations. The most universally relevant of these findings was a need in the pharmaceutical industry to rethink how it develops business strategies for these new, atypical markets. It could be argued the hunt-and-peck strategies that many pharmaceutical companies are using to experiment with new business models are inherently flawed. Instead, our team of MBAs recommended a variation on an approach popularized by many fast-moving consumer good firms (FMCGs; e.g., Procter&Gamble, Unilever). Although models vary, open innovation frameworks or innovation hubs typically create an internal business unit at large multinationals that standardizes how promising new business models are screened, evaluated, tested, and replicated. 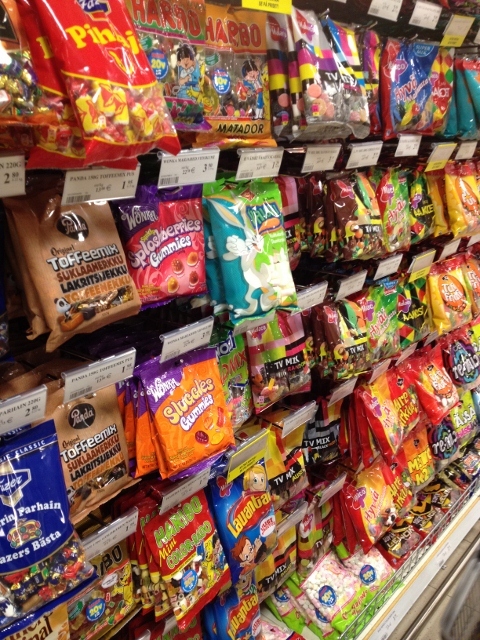 For example, many of the new products developed today at Procter & Gamble and Mars are rapidly rolled out in this way. These lean workgroups allow otherwise large, complex companies to nimbly experiment with an approach that accepts failure as learning activities and rapidly identifies promising goods or services for corporate scale. Pharmaceutical multinationals looking to expand in the developing world will need to build a similar series of internal systems and processes to remain competitive. Contributions to the work described here were provided by Andy Thornton (Oxford MBA 2012), David Wong (Oxford MBA 2012), Jackie Horn (ICSF), and Dan Berelowitz (ICSF). Public findings from the completed study can be found here. Disclosure: The work our team completed for GSK described above was a professional consulting project with financial remuneration conducted in collaboration between Saïd Business School, the ICSF, and GSK. 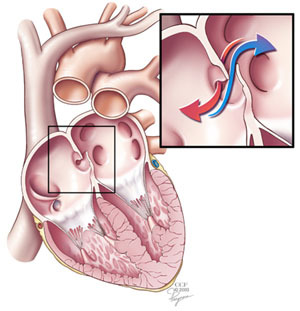 One controversial cause of some strokes is a small hole between the two sides of the heart known as a patent foramen ovale. Although rarely symptomatic for patients, this hole allows blood clots that occur in otherwise healthy individuals to bypass the lungs and lodge in critical arteries that serve the brain. In individuals without this defect, these small blood clots would normally lodge in the small vessels of the lungs and typically never lead to a disease state (see note at end for a more complete explanation). Because of the unresolved structural defect, conventional thinking considers these individuals at increased risk for future strokes that remains even after typical stroke prevention strategies. 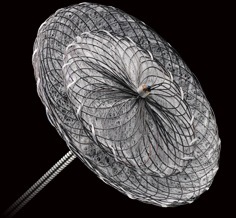 Kurt Amplatz is an interventional radiologist who has spent his career developing a number of devices to repair these patent foramen ovale and other defects using a catheter-based device that closes the hole with a permanent metal disc. The procedure is similar to cardiac catheterization procedures used for patients with coronary artery disease (e.g., heart attacks). Two recent papers(1,2) in the New England Journal of Medicine report findings from long-term studies designed to demonstrate the expected benefit of using these “Amplatzer” devices versus traditional medical therapies (e.,g., aspirin, Coumadin®, Plavix®). The Journal effectively uses these two studies to demonstrate just how fine a line of improvement may be found with use of the devices and ultimately concludes that true believers and skeptics will likely not be swayed from their opinions by the limited findings of both studies. What I found most interesting about this recent revival of the debate of catheter-based occlusion devices is the near-zero discussion of the cost component of these devices. The Amplatzer occluder used in these studies was not a one-time quick-fix for these patients but was a supplemental therapy that was often used in conjunction with traditional medical therapies. Although exact pricing is not available, the cost of the device alone adds an additional $3,000-5,000 to the cost of the patient’s care and insurance is usually billed an additional $10,000-$25,000 for the procedure. With the current evidence, these devices add additional costs and procedural risks to a patient’s care without demonstrating definitive benefit. Addressing the escalating cost-problem in U.S. healthcare starts with regulatory authorities scrutinizing care scenarios such as this one to determine if we are getting value for money in procedural medicine. Note on blood clots: Venous thromboembolisms are a major cause of morbidity and mortality. However, the specific sequence of events that produces small clots that the human body can easily degrade versus those that cause life-threatening events is poorly understood. Although any blood clot seen in the healthcare setting is typically treated as if it were potentially life-threatening, the general thinking is that small blood clots as in the example given above are somewhat routine in the older population and can resolve spontaneously if not symptomatic. 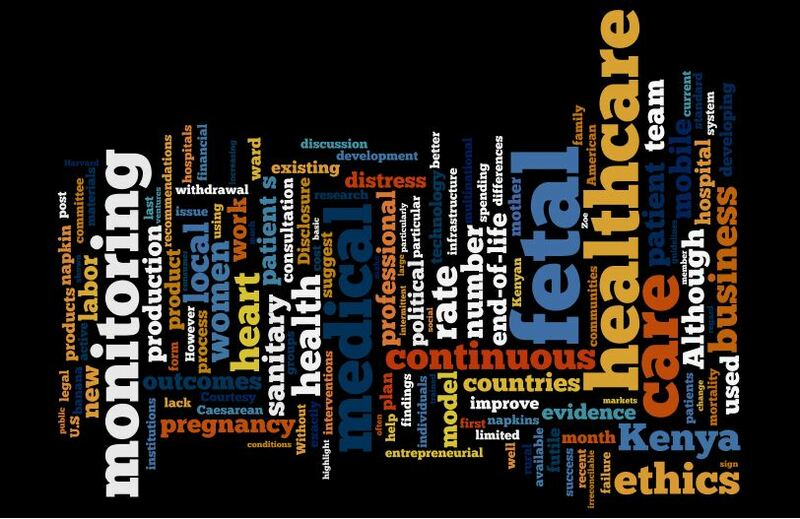 A number of recent academic studies have shown that global health experiences are becoming more essential in the eyes of medical trainees. One particular study suggested that the vast majority of current surgical residents are interested in global health experiences. Our research group at Emory has further shown that medical students are likely considering global health offerings when students evaluate residency programs. The reality for residency programs today is that failing to offer opportunities in global health may be harming their ability to recruit the best applicants for their program. However, medical schools and residency programs alike have had difficulty overcoming the logistical difficulties while also maintaining the quality of medical education provided during such experiences. Drs. 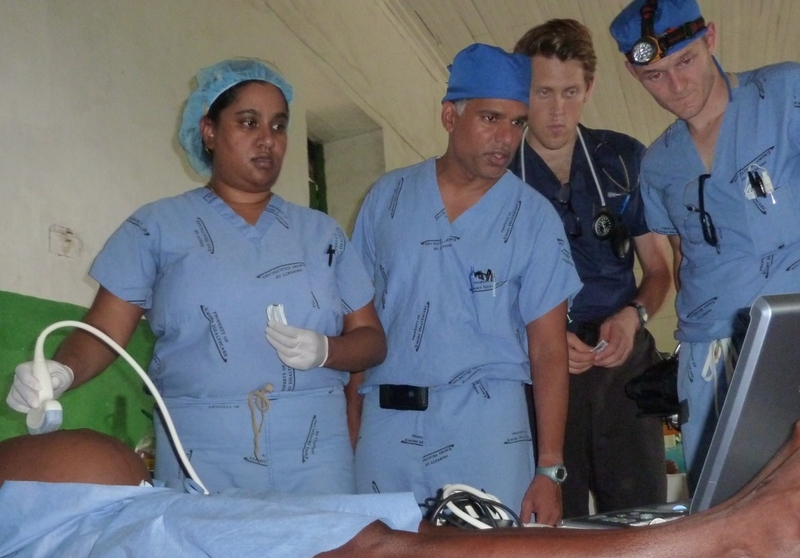 Jahnavi Srinivasan and Viraj Master demonstrate point-of-care ultrasound techniques to medical students Lee Hugar and Pete Creighton during Emory Medishare’s surgical camp in Hinche, Haiti. For the last five years, I have worked intimately with a small group of faculty and students at Emory University School of Medicine to design a for-credit international surgery elective that attempts to demonstrate the feasibility of such a training experience for medical student. A long-form retrospective piece on the effort and how it has evolved to meet the needs of multiple stakeholders has just been published in the Bulletin of the American College of Surgeons. The key takeaway from our group’s experience is that the common criticisms of these short-term trips fail to wholly encompass the range of benefits being provided. If one assesses solely the educational value or exclusively the burden disease effect for the patient population, a perspective that incorporates the cumulative benefit of these programs is lost. As I have started the transition from medical student to general surgery residency, it has become increasingly important for me to find a way to communicate our message to the next generation of medical students. At Emory, I have no doubt that an exceptional class of rising senior medical students with global health experiences will have no problem continuing to build on the model there. But what can be done for other medical schools that don’t have such a program or have not operationalized it in a manner that can continue across multiple years? After considerable thought and planning, we have released an early version of a website, www.MedStudentTrips.org, that will serve as a repository of public clinical manuals, planning documents, and advice for those looking to replicate the Emory Medishare model at their own school. In passing on such knowledge, I hope to catalyze such efforts at other institutions in the future. For information on Emory Medishare, the student-faculty medical humanitarian collaborative discussed in this article at http://www.emorymedishare.org. For those looking to design such a program at their own medical institution, Emory Medishare has posted many of its public resources at http://www.MedStudentTrips.org. A few years ago, the New York Times reported a strange scheduling phenomenon encountered by patients at dermatology clinics in southern California. The article cited a study in the Journal of the American Academy of Dermatology that examined scheduling wait times in a number of American cities. If a patient were looking for a chemical peel or Botox® injection, clinics could routinely schedule the patient for later the same week. In contrast, if a patient had a concerning mole or eczema that had not responded to routine treatment, it would often take a month to get an appointment. Interviews with industry experts at the time suggested that many dermatology practices were effectively running two separate practices split along patients needing medical versus cosmetic dermatological consultations. “Medical dermatology” is a category within the specialty that addresses dermatological disease (e.g., skin cancer, acne, eczema, psoriasis). “Cosmetic dermatology” refers to dermatologic needs to improve one’s appearance but are not the result of any derangement within the body. Common problems in cosmetic dermatology include wrinkle-reduction, altering skin pigmentation, and removing age spots. An important aspect of this distinction between the two major categories of dermatologic needs is the grossly different financial impact of each. Cosmetic dermatology is almost never reimbursed by medical insurance while medical dermatology is usually required by law to be included in insurance coverage. This difference effectively creates two classes of patients in a typical dermatology practice. The medical dermatology patients pay a nominal co-pay and then a physician could spend weeks trying to capture a relatively small amount of additional revenue from the patient’s insurance company. In contrast, cosmetic dermatology patients are paying in full at the time of their visit at a price that can theoretically be as high as the local market will bear. The New York Times article noted that a dermatologist could double his or her annual income by focusing more of their practice on cosmetic procedures. The reported scheduling behavior suggests that many dermatology practices attempt to capture a greater share of cosmetic dermatology while potentially limiting the volume of medical dermatology because of these financial incentives. While the reader’s knee-jerk reaction may be that government regulation be used to “force” dermatologists to more equitably accept both types of patients, I would suggest that the current situation highlights an opportune moment for professional activism of a kind rarely seen in medicine. The ultimate obstacle to scheduling a medical dermatology appointment is a limited supply of appointment slots in certain localities. Ironically, this long-time shortage of medical dermatology care notwithstanding, clinical training in dermatology is one of the most competitive specialties in medicine within which to receive a training position. In theory, if enough dermatologists were trained and sent to practice in an area this shortage would solve itself. However, increasing the number of dermatologists being trained would likely create a disproportionate amount of cosmetic dermatology practices. This disproportionate desire from graduates to practice cosmetic dermatology limits the profession’s desire to expand the number of trainees each year. One potential solution is for a formal distinction in training to be made from cosmetic and medical dermatology. Doing so would not be easy and would likely require a combined effort from accreditation bodies to require the trainees in dermatology only be trained in either subspecialty, and it would also require cooperative state medical boards to prohibit one group practicing the other’s trade. Given the different financial incentives of each subspecialty, a likely result of such a change would be that cosmetic dermatology would continue to be the highly-competitive, highly-compensated field that dermatology largely resembles today while medical dermatology would be a more academically-focused, less competitive, moderately-compensated field that it should be. The real take away from this discussion is not determining whether the greater dermatology community ever makes such a radical step to fix a distorting externality of the profession. The ultimate point here is that the medical profession, its accrediting bodies, and training institutions ultimately have many of the tools to improve healthcare delivery and training in the U.S. today. Historically, our profession has been relatively passive which encourages external actors (e.g., governments, industry) to shape how we provide care to patients. While engaging outside influencers is important, medical providers are often best suited to recognize and adapt to problems that arise in the practice of medicine. It is up to medical providers then to embrace their role as change-makers. Is the independent medical device industry dead? And for recent new readers, please be sure to check out the introductory blog post below and more information on the “About” tab. “Blue Oceans?” What is with this blog’s name? This post is proceeded by a short case vignette to help frame the discussion that follows. An 85 year-old man is brought to the hospital with a fever and found to have pneumonia. The man had been diagnosed about six months ago with an incurable form of leukemia, a cancer of the bone marrow. Because of his age and medical history, his pneumonia quickly leads to respiratory failure and he is admitted to an ICU for mechanical ventilation and other critical life-sustaining measures. Over the next few weeks, the patient’s overall condition failed to improve and he suffered a number of further physiologic insults. He became anemic and was transfused two units of blood. The patient then got a bladder infection that resulted in sepsis which caused the patient to cardiac arrest before being successfully resuscitated. After all of these events and the patient’s stable but poor condition, the medical team faced a difficult situation where the patient was too sick to be transferred to a long-term acute care facility but also had little chance of significant improvement. Given the current findings and poor prognosis, the medical team asked the family to reconsider the patient’s status as a “full code,” requiring all life-sustaining measures in the event of further cardiac or respiratory failure. The family felt very strongly that “ALL” medical efforts should be afforded to the patient and refused the medical team’s request. An ethics consultation was called by the primary team. It is estimated that better management – meaning less aggressive – of patients’ care in the last six months of their life could save $700 billion of U.S. healthcare spending, one-third of the total annual spending on healthcare. Currently, the irreconcilable differences around end-of-life decision-making problems outlined above are handled by hospitals with the use of “ethics consultations.” An ethics consultation typically triggers a review of a patient’s case by a member of the hospital’s ethics committee who has been trained to use the four principles of medical ethics to reframe a particular ethical problem and provide a recommendation for moving forward. For example, in the case above an ethics committee member would highlight the balance that must be struck between the patient’s (and family’s) autonomy to make their own medical decisions versus the continued use of limited healthcare resources on a patient who will never be independently functional and suffering a series of interventions that are likely only prolonging the patient’s guaranteed death from his cancer. The intended purpose of such an exercise is that reframing the discussion in a more analytical manner may help the family or the medical team better understand the other side and highlight a potential resolution. However, the major limitation of the ethics consultation is that its recommendations are not legally binding and therefore truly irreconcilable differences can rarely be solved by the process. When some form of cooperative agreement cannot be reached, the ethics committee has no power to enforce a recommendation on either party. Published reviews of the history of end-of-life care and medical ethics have highlighted the limited legal protection for either hospitals or patients with end-of-life care as a major hindrance to the available options for resolving these differences of opinion. Without strict legal guidance, hospitals have been forced to utilize a quasi-legal “fair process” system when faced with patients and decision-making surrogates who insist on continued care that has become medically futile. Fair process for withdrawal of care involves an onerous series of consultative steps that requires a medical team to explore alternative care options that include cross-specialty consults, an ethics consultation, an attempt to transfer to another hospital service, and an attempt to transfer to another hospital before being able to cease futile medical interventions. It is important to note that these safeguards are necessary, but only because the government has failed to legislate a more streamlined process of ceasing futile care efforts. While it is probably unsurprising that legislators have been wary to pick up such a hot-button political issue – particularly after the pillorying of “death panels” during recent healthcare debates – my greatest disappointment lies in lack of professional association’s attempts to fill the void. Although recommendations from professional groups like the Society of Critical Care Medicine or the American College of Physicians may not carry legal weight, such professional association guidelines are regularly used in medical malpractice cases to demonstrate whether a physician’s actions were considered “standard of care.” The issuing of such guidelines by professional organizations would provide the kind of backstop needed for physicians to more comfortably navigate ethical dilemmas like the one presented above. To date, the only national physician’s organization that has provided public recommendations for withdrawal of care is the American Society of Nephrology with a particular focus on withdrawal of dialysis for kidney failure. In the present political climate, further efforts to manage end-of-life care will need more physician and patient groups to publicly take a stand on what qualifies as appropriate care. Without such courageous steps, end-of-life care will become a further emotionally destructive and financially untenable part of our healthcare system. Disclosure: I have no conflicts of interests with regard to end-of-life care and medically futile interventions. Editor’s Note: A change in the publication schedule has been made for the month of November. This post below replaces a previous November post on pharmaceutical markets in developing countries that will be re-published in the future. Disclaimer: Every pregnancy is unique. The below discussion focuses on population-wide assessments of effectiveness and should not be used to make a decision about one’s personal healthcare. Any questions about the issues raised below with regard to the reader’s own pregnancy should be discussed with their obstetrician. When a pregnant woman arrives to a hospital in labor, she will typically be whisked away to a Labor and Delivery ward. For those familiar with birth, the timing of what follows is highly unpredictable. If in true labor, she will be whisked to the room where she will deliver, and be allowed to progress for the often hours-long wait prior to delivery. After being immediately assessed, most institutions include protocols that have the ward nurses place a continuous fetal heart rate and uterine contraction monitor. The information gathered by the probes is then usually electronically transmitted to a central server for display on any number of desktop monitors and overhead displays scattered throughout the ward. The principal behind this monitoring is for the medical team to be able to readily assess the basic vital signs of labor on any patient from any location in the ward. For example, fetal heart rate decelerations are one recognized sign of fetal distress, and many institutions train staff to immediately respond to such a feature observed on monitoring. A frequent result of “ominous” or “nonreassuring” fetal heart rate patterns is that further observation of the fetal heart rate does not improve the assessment of fetal health and an emergent Caesarean section ensues. Conventional wisdom would suggest that the current widespread distribution of such telemetry monitoring for active labor has saved the lives of countless women and their progeny. Until the twentieth century, pregnancy was one of the most dangerous periods of a woman’s life, and much of this was the result of difficulties during active labor without the ability to safely remove the near-term pregnancy. Even today, Caesarean section – with only minor technical modifications in the ensuing period – remains the standard of care for achieving optimal outcomes when persistent fetal distress is detected during active labor. Logically, one would then think that real-time vitals of the fetus would be the ideal technological assistance for fetal health surveillance during this period of pregnancy. Although such reasoning appears sound and is routinely used by purveyors of continuous heart rate monitoring, the scientific evidence to date does not support the use of such devices. Although proponents of continuous fetal monitoring have cited a large recent study that suggests otherwise, the best scientific evidence suggests that continuous fetal heart rate monitoring results in the same mortality outcomes for mother and fetus as what can be achieved with the traditional form of fetal health monitoring, or “intermittent auscultation” (a nurse rounding on the mother every 15 minutes and listening for the fetal heart rate with a stethoscope-like device). Worse, not only are mortality outcomes unchanged by an expensive piece of hospital IT infrastructure, but the studies have also shown that the number of Caesarean sections increases with the use of continuous fetal heart rate monitoring. What this constellation of findings suggests is that such monitoring does not improve health outcomes but also has the unfortunate disadvantage of “sounding the alarm” too early. In other words, continuous monitoring appears to be picking up fetal distress that is transient that may be more accurately described as “fetal discomfort.” These findings suggest that if such cases were left alone, the distress would often resolve on its own without any lasting effect on health outcomes for mother or baby. To summarize, the amassed evidence to date suggests that continuous fetal monitoring does not improve newborn mortality and increases the number of C-sections performed when it is used. Why then is it the standard of care across much of the U.S.? I’ve put exactly this question to a number of my mentors and colleagues, and the answer is invariably the same. Evidence aside, no jury in the United States is going to be kind to the obstetrician who goes against the tide of medical practice to adhere to what “stuffy” academics suggest is a more effective treatment strategy. That a minority of institutions in the U.S. even still allow practitioners to use intermittent auscultation is testament to the American College of Obstetrics and Gynecology’s measured acceptance of both forms of fetal monitoring. What troubles me the most about the state of fetal monitoring today is the potentially massive quality transformation that exists and the limited work being done to explore this issue further. Labor is one of the most common conditions requiring hospitalization and the question of how it is monitored affects every single one of those admissions. Definitive research is needed to settle this debate. Because such research may very well prove the futility of a profitable medical technology, it is likely that professional advocacy is the only way such work will get the necessary funding to conduct a large randomized trial. Without it, we will continue to perform a practice that is contributing to what may be thousands of unnecessary surgeries a year and a considerable cost burden to our healthcare system. Disclosure: I have no financial or professional interests related to continuous fetal heart rate monitoring or other matters discussed above. Stroke prevention trials: where is the discussion on costs?